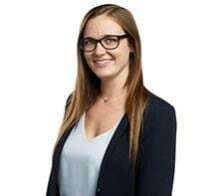 After joining Merovitz Potechin LLP in 2013 as a student, Kelli-Anne articled with the firm's litigation team and was called to the Ontario Bar in 2018. As a litigator, Kelli-Anne combines her passion for the law with a strong sense of practicality in order to obtain cost-effective solutions for her clients. In her practice, Kelli-Anne is typically in court on a weekly basis and has appeared before the Ontario Superior Court of Justice, the Landlord and Tenant Board, and the Divisional Court. Kelli-Anne also has experience with written advocacy before the Ontario Court of Appeal. While pursuing her law degree at the University of Windsor, Kelli-Anne was the captain of her intramural hockey team, served as an Associate Editor of the Windsor Review of Legal and Social Issues, and competed in several mooting competitions where she had success arguing before Justices of the Court of Appeal for Ontario and the Supreme Court of Canada. When she is not in court, Kelli-Anne enjoys live music, playing hockey, and spending time with her family.